We service the Winnipeg and surrounding area out to 15km. 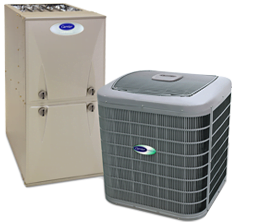 I recommend Provincial Heating & Cooling to anybody who is looking for a solution to their residential heating and air conditioning needs. Gavin Stone, Operations Manager/ HVAC Consultant gave me a comprehensive in depth walk through regarding my home requirements, taking the time to not only explain the right equipment for my home, but also how everything functions and works together. The installation from start to finish went quickly and smoothly. Provincial Heating & Cooling are punctual, professional, lay tarps on the floor so as not to damage the flooring and leave everything immaculate when the job is complete. I will definitely be using Provincial Heating & Cooling Inc. for all my service needs in the future and would give them an A+ Rating!